Marianne Design's new items this month feature several unique Baby themed dies, and some beautiful floral dies and stamps of Roses and Foxgloves. I love Foxgloves! You don't see much out there with these awesome flowers, so I am excited. So many other interesting dies, embossing folders to get started on your cards for Spring. Build your own onesie & dress it up for a special baby card. A tiny little baby is arriving via the stork. Includes dies for the stork and baby in a blanket. Eline's cute animals as well for even more cute options! This is a cute set of animals that you can customize as needed. Use as cute animals or turn them into babies! A great set of basic dies in the range of stitched dies. a finished touch to your card or layout. A classic design for your cards or layouts. Add a rectangle with ticket stub edges. Comes in 8 sizes so you can add layers and frames. or as garlands across your card or layout. Comes with extra dies to add layers in different colors. 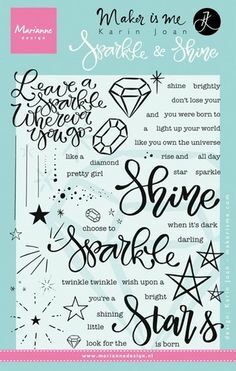 "Sparkle and Shine", along with images of diamonds and stars. 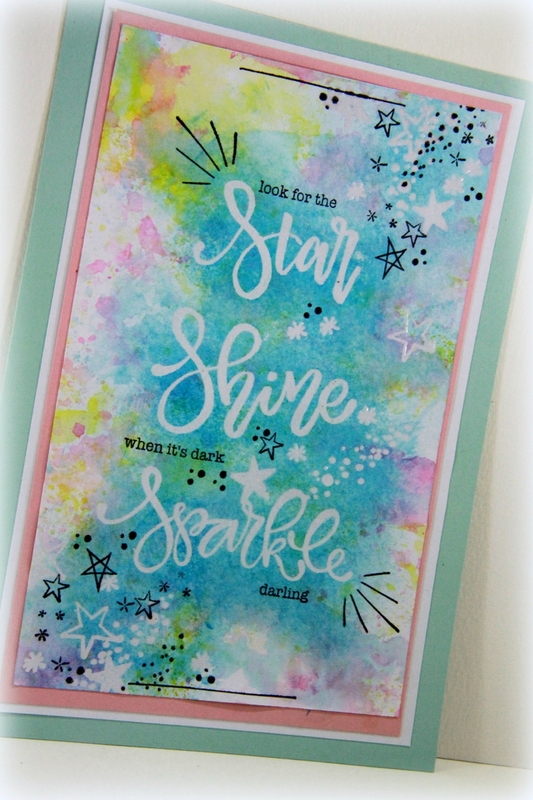 Perfect to "glam" up any card. A realistic detailed rose with embossing details. to add some extra dimension. 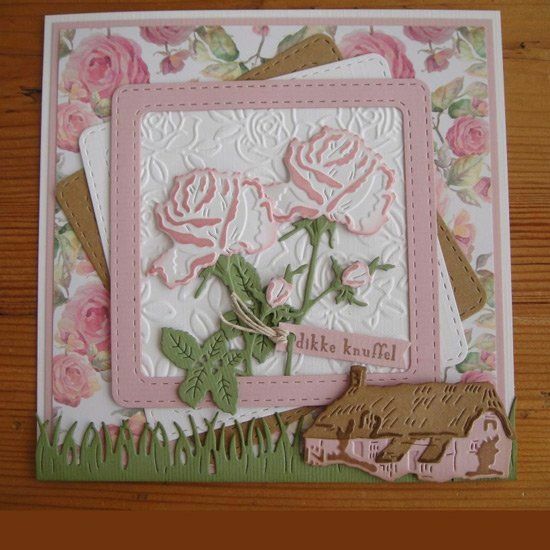 A great die set to create a beautiful foxglove. Cut then emboss to add extra dimension...Two parts for easy assembling. Make typical English scenes with these two cottages.